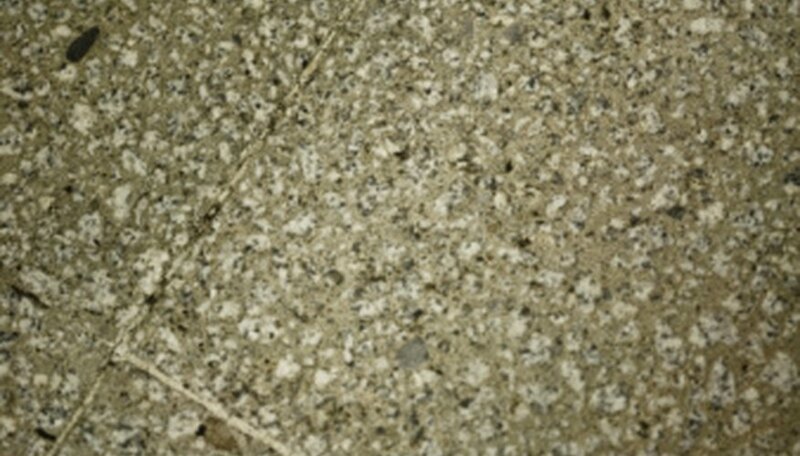 Concrete is a common material for basement and garage floors. This is because it is relatively cheap and durable. Over time, however, the concrete can get dirty and stained. One way to make old concrete floors easier to clean is to seal them. The sealant provides a very strong layer of epoxy that is more resistant to stains and scratches. Do not choose to work on a sunny day, as the sealant will expire faster on sunny and hot days. Remove everything from the room so that you can access the entire floor. Fill a bucket with hot water. Add 1 tbsp. of liquid dish soap. Dip a push broom into the solution and scrub the concrete floor. Use more solution as needed to clean the entire concrete floor. Rinse the concrete with water from your hose. Let the concrete dry for several days. The concrete must be dry before sealing it, as the sealant will have trouble attaching to damp floors. Apply concrete repair caulk to cracks on the concrete floor. Slide a paint scraper over the caulked area to smooth it out. Let the caulk dry completely. Mix the epoxy sealer according to the manufacturer’s directions. Amounts will differ depending on the manufacturer. The epoxy will expire so mix it right before you plan on using it. Pour the sealer into a paint tray. Dip a brush into the sealer and brush it on the edges of the concrete floor. Immediately wipe up any spills or nicks on the wall to avoid having to remove them later when they have dried. Apply the sealer to a paint roller and roll the epoxy sealer on the floor. Use long, even strokes and work backwards toward the door to prevent painting yourself in a corner. Let the sealer dry completely for several days. Do not seal a concrete floor that already has sealant on it. Allow recently poured concrete to cure for one month before sealing it.